As investigations into the Martin Place siege continue to unfold, one of the key concerns is how the shooter Man Haron Monis got his hands on a gun. In the wake of the siege, the federal government is fast-tracking a national firearms database, which is now slated to be completed by the end of 2015, two years earlier than planned. The database is aimed at putting an end to the trafficking of illegal firearms within Australia. But will it be effective in reducing gun crime? Australian authorities believe that most of the guns that are used in criminal activity are not imported, but are circulating around the country. These firearms may be either stolen, or so-called grey market weapons that were never surrendered under the national buyback in 1996, which was prompted by the Port Arthur massacre. In 1996, the small Tasmanian town bore witness to the largest shooting massacre this country has ever seen. Martin Bryant was imprisoned over the killing of 35 people and the wounding of 23. The massacre led the federal government to take action towards major gun reform in Australia, with strict firearm laws being implemented nationwide. These included a ban on ownership of certain firearms, and the introduction of a gun registry for each state and territory to be linked to the National Exchange of Police Information (NEPI), now known as the National Firearm Identification Database. 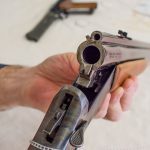 Until that time, NSW, Tasmania and Queensland did not have a licensing and firearm registration system, and so the location and ownership of firearms in those states was largely unknown to authorities. The government offered to buy back the now banned firearms at a cost to the taxpayer. However, due to the lack of registration in some states, the government could only rely on the honesty of gun owners to come forward with their banned weapons and to register their non-banned firearms on their state’s registration system. These were the first steps Australia took to centralise and monitor firearm location, use and ownership. Almost 20 years after the major firearm reforms of 1996, the government has found a need to review firearm laws and related crime. In October 2014, the Commonwealth Reference Committee headed by five senators met with relevant bodies and departments to inquire into the ability of law enforcement authorities to eliminate gun-related violence in the community. To estimate the number, distribution and lethality of illegal guns. The adequacy of current laws. 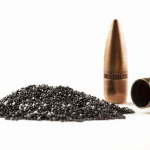 The use of current technologies, including the ability of 3D printers to make firearms. The anomalies in federal, state and territory laws regarding the ownership, sale, storage and transit of firearms across state boundaries. The Australian Federal Police submissions to the inquiry highlighted a serious gap in the firearm laws. This was the ability for a person to move firearm parts across borders without it being a trafficking offence. This meant firearm parts could be legally imported into Australia and assembled here with little detection. 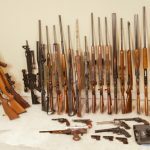 As a result, the Commonwealth Criminal Code Act was amended this year to include the words ‘firearm parts’ in relation to firearm trafficking offences. 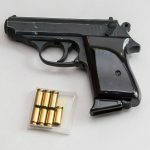 The Australian Institute of Criminology reported that illegal importation was a small contributor to the handgun and long-arm market, and reflected that theft is a significant contributor to the illicit handgun market. The other issue canvassed was the use of 3D printers and their potential to manufacture firearms. The AFP keeps up-to-date with 3D printers and software, ensuring they are aware of the advancements in this technology. 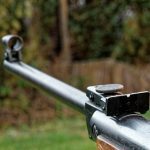 The AFP reported that 3D printer guns would at present be more dangerous to the person pulling the trigger than those they are aimed at. However, the AFP recognises that this technology is likely to develop rapidly, potentially creating another avenue for the illicit gun market to infiltrate. How different will the new database be to the current system? In response to the review, the Law Crime and Community Safety council announced the development of the National Firearms Interface (NFI). It was due to be completed in two years, however in the wake of the Sydney siege, the roll out has been brought forward. 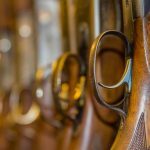 The NFI is a national database which will provide a single shared record for each firearm in Australia, and is reported to have an ability to trace firearms from ‘foundry to furnace’. It aims to carry information about each registered firearm, including the ownership history, information on whether it is suspected of being used in crimes, and whether it has been reported as stolen. Its functions seem similar to the system already in place, but the new system aims to make it easier to register ownership when moving between states and territories, creating a more unified process. The review which took place in October 2014, nearly three months before the Sydney siege, drew together important information, and highlighted problems which need to be solved. The national database will carry more information than in the past, but whether it will have an impact on the number and use of illegal guns on its own is unknown. There are potentially a large number of guns purchased legally before 1996, but not subsequently registered. There are also likely to be many firearms circulating in the community which have been assembled from legally imported parts. This could mean that such guns leave no detectable trace and remain unknown to police until they surface, usually because they have been used to commit a crime. It is believed that the gun used in the Sydney siege may have been a firearm which was purchased legally by the original owner, but not handed in under the buyback scheme. It’s acknowledged that the NFI wouldn’t have stopped Monis, but authorities hope it will help to tackle gun crime. Whether that will occur remains to be seen.